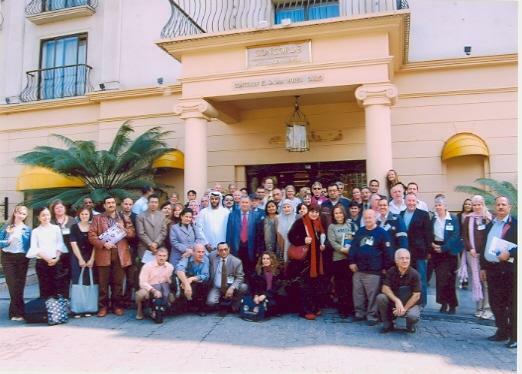 The Middle East Animal Welfare Conference (MENAW) was held at the Concorde Al Salam Hotel in Cairo from March 1st to 3rd 2010. Menaw is a network of all the animal welfare groups from across Egypt, Lebanon, Sudan, Jordan, Qatar, Kuwait, UAE, Iran, Palestine and others. Associated groups such as African Network of Animal Welfare, Middle East Veg Group, Compassion for Animal Farming, were also represented. The event was held under the patronage of the Ministry of Agricuture of Egypt and organized by ESMA-Egypt. 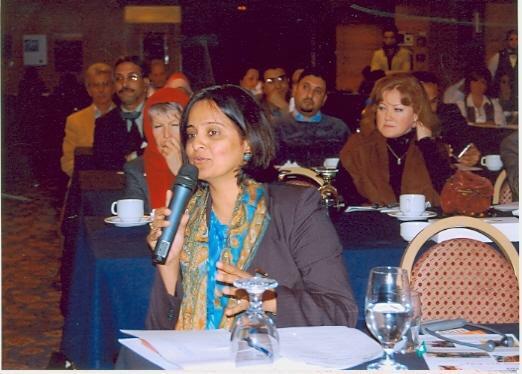 Princess Alia Foundation took the lead in terms of overall conference agenda. Livestock are one of the most significant contributors to today's most serious environmental problems. Invited to speak from the Farm Animal perspective Sandhya Prakash, Founder of Meveg spoke on "Livestock Impact on the Environment". The session was well attended and brought to the fore "Livestock" one of the most significant contributors to today's most serious environmental problems. Supported with recipes contributed by Meveg, the MENAW conference organizers surprised the delegates with an all vegetarian lunch menu on all days of the Menaw Conference! Among other animal welfare resolutions, the conference unanimously agreed to pass a resolution on encouraging vegetarian diet which marked a great shift in thinking.